PARIS (AP) — The Islamic State group has trained at least 400 fighters to target Europe in deadly waves of attacks, deploying interlocking terror cells like the ones that struck Brussels and Paris with orders to choose the time, place and method for maximum chaos, officials have told The Associated Press. The officials, including European and Iraqi intelligence officials and a French lawmaker who follows the jihadi networks, described camps in Syria, Iraq and possibly the former Soviet bloc where attackers are trained to target the West. Before being killed in a police raid, the ringleader of the Nov. 13 Paris attacks claimed he had entered Europe in a multinational group of 90 fighters, who scattered "more or less everywhere." But the biggest break yet in the Paris attacks investigation — the arrest on Friday of fugitive Salah Abdeslam— did not thwart the multipronged attack just four days later on the Belgian capital's airport and subway system that left 31 people dead and an estimated 270 wounded. Three suicide bombers also died. Just as in Paris, Belgian authorities were searching for at least one fugitive in Tuesday's attacks — this time for a man wearing a white jacket who was seen on airport security footage with the two suicide attackers. The fear is that the man, whose identity Belgian officials say is not known, will follow Abdeslam's path. "Not only did he drop out of sight, but he did so to organize another attack, with accomplices everywhere. With suicide belts. Two attacks organized just like in Paris. And his arrest, since they knew he was going to talk, it was a response: 'So what if he was arrested? We'll show you that it doesn't change a thing,'" said French Senator Nathalie Goulet, co-head of a commission tracking jihadi networks. Two of the suicide bombers in Tuesday's attacks, Belgian-born brothers Ibrahim and Khalid El Bakraoui, were known to authorities as common criminals, not anti-Western radicals until an apartment one of them rented was traced to Abdeslam last week, according to Belgian state broadcaster RTBF. Similarly, an Algerian killed inside that apartment on March 15 had nothing but a petty theft record in Sweden — but he'd signed up as an Islamic State suicide bomber for the group in 2014 and returned to Europe as part of the Nov. 13 plot. "The difference is that in 2014, some of these IS fighters were only being given a couple weeks of training," he said. "Now the strategy has changed. Special units have been set up. The training is longer. And the objective appears to no longer be killing as many people as possible but rather to have as many terror operations as possible, so the enemy is forced to spend more money or more in manpower." Similar methods had been developed by al-Qaida but IS has taken it to a new level, he said. Another difference is that fighters are being trained to be their own operators — not necessarily to be beholden to orders from the IS stronghold in Raqqa, Syria, or elsewhere. "To pull off an attack of this sophistication, you need training, planning, materials and a landscape," said Shiraz Maher, a senior research fellow at the International Centre for the Study of Radicalisation at Kings College in London, which has one of the largest databases of fighters and their networks. "Even if they worked flat out, the attackers in Brussels would have needed at least four days," said Maher, who has conducted extensive interviews with foreign fighters. 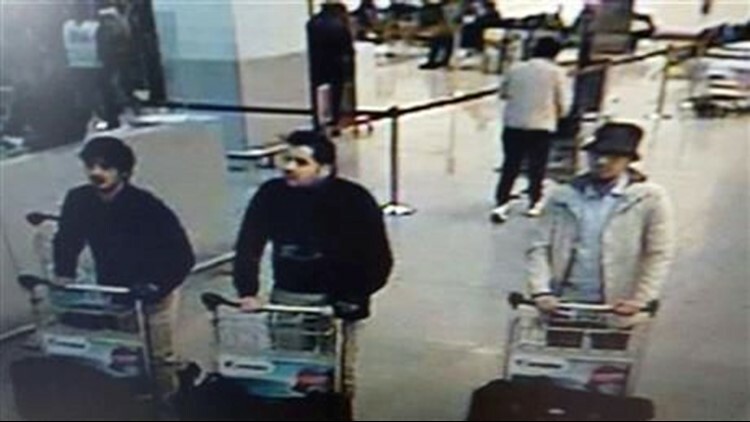 On Wednesday, Turkish authorities said one of the Brussels suicide attackers, Ibrahim El Bakraoui, was caught last June near the Syrian border and deported to the Netherlands, with Ankara warning Dutch and Belgian officials that he was a "foreign terrorist fighter." But he was released from Dutch custody due to lack of evidence of involvement in extremism. Belgian Justice Minister Koen Geens said Wednesday that authorities had no reason to detain El Bakraoui because he was "not known for terrorist acts but as a common law criminal who was on conditional release." Dodds reported from London. Qassim Abdul-Zahra contributed from Baghdad.